Delicious salad. Before serving garnish the salad with slices of fresh tomatoes, parsley and apply a crown-round mayonnaise. 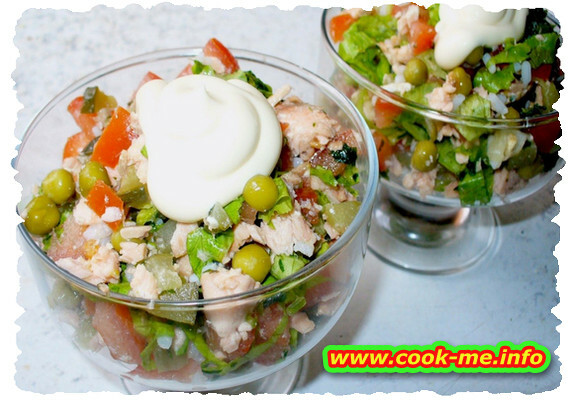 • 1 smoked mackerel of 1.4 pounds/1 smoked ​mackerel of 600-700 gr. Are chosen fillets, cut into small cubes and put in the bowl. Add the finely chopped onion, season with lemon juice, salt and pepper suit.